In this quick video Mary Morrissey is going to tell you how when she applied this quote to her life, she gained the ability not only to stay calm when circumstances seemed overwhelming, but to use a simple shift in her thoughts to turn serious problems into unappreciated blessings. Do you dream of a life that’s fuller, freer and more inspiring? If so, there may be several reasons you’re not doing what it takes to live that life – time constraints, habits, routine, or doubt. The good news is that YOU have the power and YOU can change your results, starting today! All it takes is a proven strategy for getting unstuck and being motivated to take steps toward your dream. 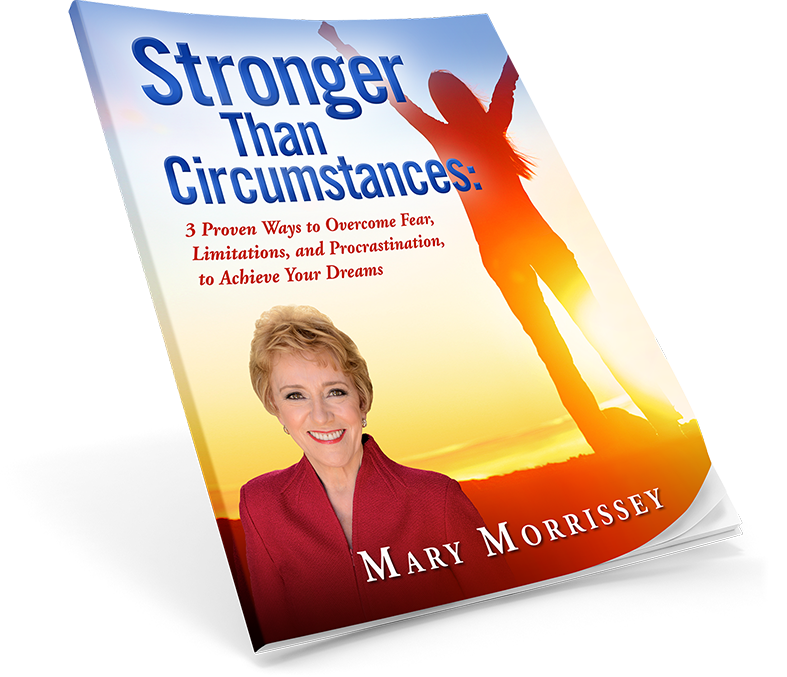 Mary has written a new ebook Stronger Than Circumstances to show you how to learn to stop procrastinating, get unstuck and Live the Life of Your Dreams ! And she has agreed to share it with us for free. This eBook will reveal the secret behind the invisible laws that can get you unstuck and on track to living the life of your dreams. You’ll learn how to direct your thoughts to empower you, instead of pulling you back to your old way of life. More than 50,000 people have already downloaded this book and learned how to overcome procrastination to start moving in the direction of a freer, fuller and more fulfilling life! What if I Have More Than One Dream? Which Do I Follow? Is It Selfish To Pursue Your Dreams? Good little video. Yes, we can change our thinking. ( hypnosis is powerful intervention) I love the idea of “pause” button to take 3 days to ponder what good can be derived from a “bad” event, experience etc. I am experiencing some deep pain from a family separation and this is a technique I will apply.